In collaboration with the Nevada Rock Art Foundation, this new section of the Bradshaw Foundation's American Rock Art Archive dedicated to the Nevada Rock Art Foundation (NRAF) focuses on 4 primary areas: the Sloan Canyon Petroglyph Site, located in the northwestern McCullough Range south of Las Vegas and Henderson; the Lagomarsino Canyon Petroglyph Site, located in the hinterland of the Comstock Mining District (near Reno and Carson City); Grapevine Canyon Petroglyph Site in southern Nevada; and Black Canyon on the Pahranagat National Wildlife Refuge, Lincoln County. As Dr. Quinlan and his colleagues at the Nevada Rock Art Foundation state, 'The ancient people of North America left no written records of their cultures. For us to gain an understanding of what happened here in ancient times, we rely on clues these early Americans left behind in the remains of their villages, monuments, and artifacts. Rock art is one of the most ubiquitous records of past human action. Archaeologists still lack the clues that might someday solve the mysteries of the first Americans. By permanently preserving and recording important cultural sites, the Nevada Rock Art Foundation makes sure they will be available for all.' It is for this reason that the Bradshaw Foundation wishes to support and publicise the on-going research of the Nevada Rock Art Foundation. The Nevada Rock Art Foundation of North America is a non-profit 501(c)(3) organization that actively promotes the protection and public awareness of rock art in Nevada and surrounding areas. The mission of the Foundation is to identify, document, preserve, and protect rock art. These sites contain images of great beauty and artistic merit and are often located in spectacular landscapes. The original cultural significance of this ancient art made by Nevada's prehistoric and historic peoples is poorly understood, though most theories concur that this art reflects the rituals, beliefs and practices of its makers. The Nevada Rock Art Foundation implements its mission through programs of site documentation and public education. Our fieldwork is carried out by volunteers certified through our rock art documentation program and supervised in the field by a staff archaeologist. We have built strategic partnerships with federal and state land managing agencies and have recorded important rock art sites throughout Nevada, USA. Through education programs we promote public awareness and appreciation of the heritage significance of Nevada rock art and other archaeological resources. 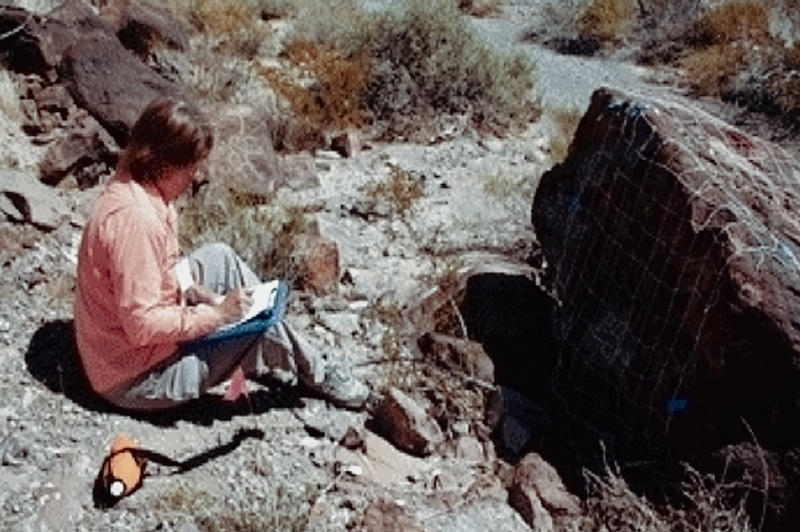 Active research and professional publications allows the heritage significance of Nevada's rock art to be brought to the attention of a wider audience.